Error Parsing Kickstart Config: The provider network interface eth0 does not exist. 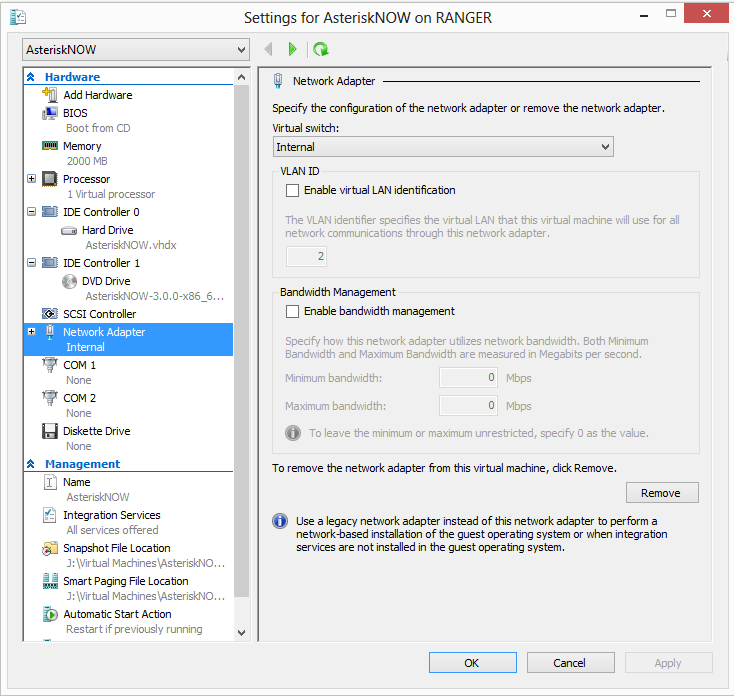 I checked the setting in Hyper-V and the server had the Network Adapter, I restarted the process and it failed again. 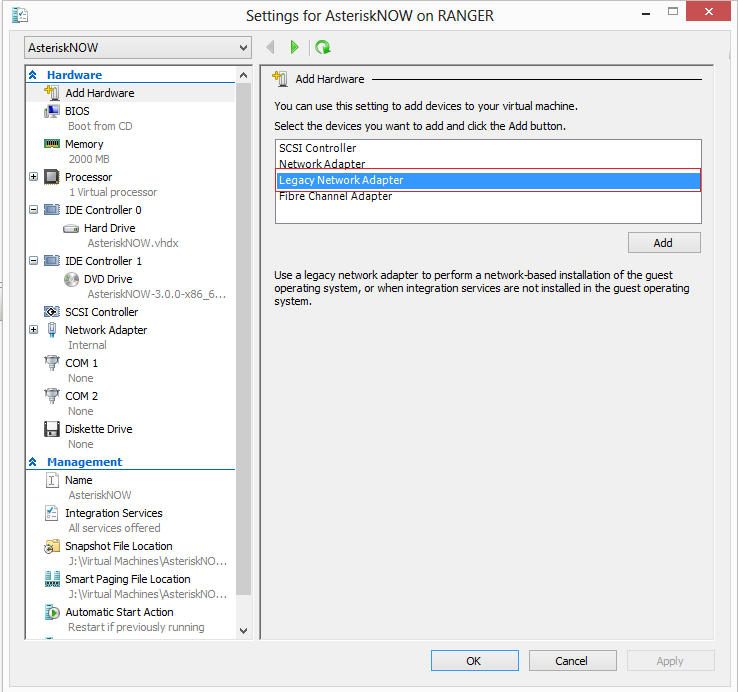 I checked the settings again and found that Network Adapter is selected by default. I turned off the server and removed the Network Adapter and added the new hardware and selected Legacy Network Adapter. After adding the Legacy Network Adapter error disappeared and installation completed successfully. I believe the only reason it need Legacy Network Adapter and not the Network Adapter, because AsteriskNOW-3.0.0 is Linux based application. Prev:The description for Event ID 3 from source Lync cannot be found. Either the component that raises this event is not installed on your local computer or the installation is corrupt. Next:Error: Cannot open Service Control Manager on computer "servername.domain.com". This operation might require other privileges.